PRI has long been a technology standard for delivering phone service. But as the Internet has changed so many things, it's also revolutionizing how companies of all sizes think about their phone service and systems. While PRI may potentially remain relevant for some companies, SIP technology is providing additional scalability and features at lower costs. At Atlantech Online, we constantly field questions about migrating from PRI to SIP - most companies aren't sure if the change makes sense for them. We've found there are six major factors that companies should consider before they decide to migrate from PRI or not. SIP is an Internet protocol, all equipment and software are built to interact with that standard. But over time, companies have developed their own nuanced versions of SIP. For example, you may have a telephone on your desk with feature-rich buttons on it. That piece of equipment may work with the iteration of SIP delivered by one carrier, and when you switch carriers, those buttons may not work. With PRI, interoperability was never an issue. If you are considering switching carriers, and they each have a different interpretation of SIP, this can be a potential problem with your current equipment. You need to make sure, on a technical level, your equipment is going to work or "interop" with your carrier. Make sure your phones work with the new carrier, and the usual things you expect to do with your phone, like making a call, holding a call, or transferring a call, work as intended. When you change carriers, and you are doing SIP trunking, you have to make sure all phone carrier switches are being updated with your new carrier information. Every phone company, for the most part, has their own switch. When a number changes, all these switches have to be updated with the new information. In some cases, a switch or two will get left behind in the process. For example, you change to a new SIP carrier, and a customer in Wichita tries to call your number and can't get through. Customers usually place the blame on their carrier, because their calls are not getting through. What is frequently happening is not a problem with the carrier you switched to, but the carrier of the caller has yet to update their switch. The Caller ID situation is much the same. When you switch carriers, caller ID can be a detail lost in the transfer and must be managed to ensure it is correctly displaying to your customers. You must proactively address caller ID and make sure it is being announced properly. You also should actively address switch updates, making sure your customers will be able to reach you when they need you. These first two factors seem scary on the surface, but if your new carrier is worthy of your business, they will help you and make sure your phone service is being delivered successfully. In the PRI world, local exchange carriers have a service called Centrex, which stands for Central Office Exchange Service. With Centrex, phone companies could act as a sort of PBX, which was attractive for businesses who needed the functions of a PBX, but could not afford one, or chose not to purchase one of their own. 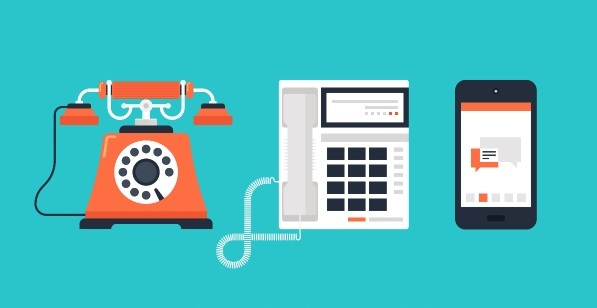 Centrex was a precursor to a PBX in the cloud; it was the original hosted phone service. When you switch to SIP, you can leverage a Cloud-based PBX in which you are using a PBX-as-a-Service, rather than having a piece of hardware in your building. This brings a new level of affordability to companies who need the PBX functionality, and they don't have to invest in costly equipment or maintenance. It's all done in the cloud with a software-based, Hosted PBX system. Years ago, switchboard operators would set up and tear down phone calls, making sure someone's phone call was connected to the right line. Then, a system arose which automated that process called, SS7, or Signaling System 7. When you made a call from a Verizon phone to someone on an AT&T phone, both of those carriers would use SS7 to talk to each other and set up and tear down phone calls. When you are using SIP, you also need the ability to setup and tear down calls. The Session Border Controller (SBC) receives the dialing tones from your phone and routes them to the right place. But there is also an additional functionality an SBC provides; the demarcation point. Like a firewall for your phone, it can permit or deny calls based on predetermined criteria. For instance, you can tell it to not allow international calls to be made - any international number dialed will be blocked by the SBC. You can turn any computer into a phone with a simple headset and software. You can instant message other people on the hosted PBX platform, and those instant messages can interact with other messaging platforms. You can provide presence indicators to others in the office, or even to the public. Publish your status such as "in a meeting," or "away from desk." Metrics and analytics can be leveraged to improve business processes. And, possibly the biggest benefit of voice as data, is the ability to extend office communication infrastructure beyond the walls of the local office. With softphones and an Internet connection, employees can be connected regardless of their physical location, in the field, on location, or even while in transit. Because of the blend of IP and phone service, companies can enjoy a rich multimedia experience with their conference calls, such as screen sharing, whiteboards, or sharing computer screens. In the PRI world, the phone was completely separated from the computer. Now, SIP is merging voice, data, and phone together in creative and ground-breaking new ways. Like we said before, there may still be situations where PRI makes sense. However, if you're weighing the choice to migrate from PRI to SIP, there are many benefits you can look forward to. First, it can be much less expensive than operating or scaling a PRI system. You can add call appearances quickly with SIP rather than having to pull in more lines with PRI, and possibly being forced to upgrade your PBX to accommodate the extra lines. Software features make SIP more useful, and companies can implement their phone service in creative ways to make the most of their customer service and business processes. SIP allows employees to operate effectively outside the silo of the home phone system in the office. SIP literally empowers enterprises to connect every employee around the globe. Scalability is also a huge benefit of SIP over PRi. With SIP you can easily scale to serve thousands of users, and you can do so much faster, and much easier. Before you make the decision to switch to SIP, or to stay with PRI, you should consult with a knowledgeable expert. They will be able to look at the needs of your company and give you precise recommendations of what you need, and how you can leverage the abilities of SIP technology. Our clients are enjoying the benefits of the SIP protocol in their phone systems, and we would love to explain how we can make the change from PRI to SIP as painless as possible for your company, so you can implement a new phone system without large downtimes and frustrations of trying to make the conversion yourself. Contact us today, and allow us to show you why our customer service is unmatched in the industry. 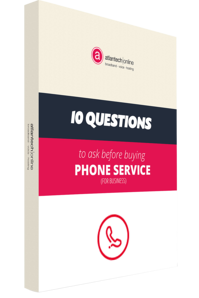 Get all the information you need to make the smartest decision for your business' phone service in this handy ebook.